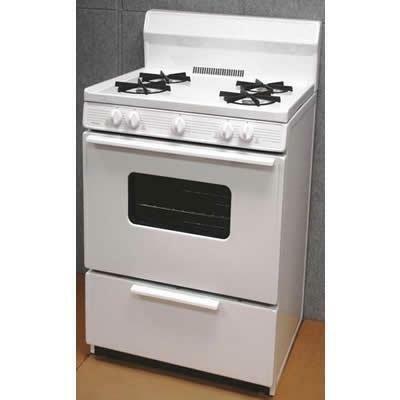 Premier 3.9 cu.ft 30 inches gas range with 8.5 inches porcelain backguard. Universal access gas valves for simple LP gas conversion. Cleaning is easy with a porcelain coated oven. Additional Information Universal access gas valves for simple LP gas conversion; You may also need a gas line purchased separately; Cleaning is easy with a porcelain coated oven; Heavy duty cast iron grates; Bakeview oven door with window and light. Additional Dimensions Shipping dimensions: 46.5 x 30.5 x 26.5. Warranty 1 Year. Lifetime top burners.